** Please note: The position of joins are determined in conjunction with the size of the selected slabs and our perception of suitability. 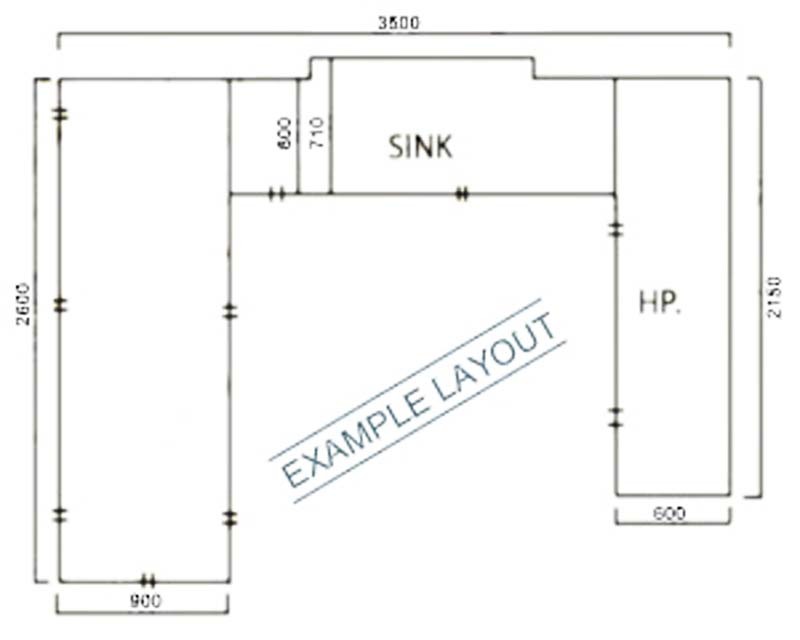 If there are specific requirements, the customer must advise on plan or drawing submitted. Upon your acceptance of our quote you will be agreeing to our terms of sale. Please read our full terms of sale document here. This drawing can be posted, faxed or emailed to us at Regency Stone. Alternatively, you may personally visit our showroom with your drawing and one of our knowledgeable staff can assist you with your stone selections. We have a variety of slabs on display to provide you with a better indication of the product selected.